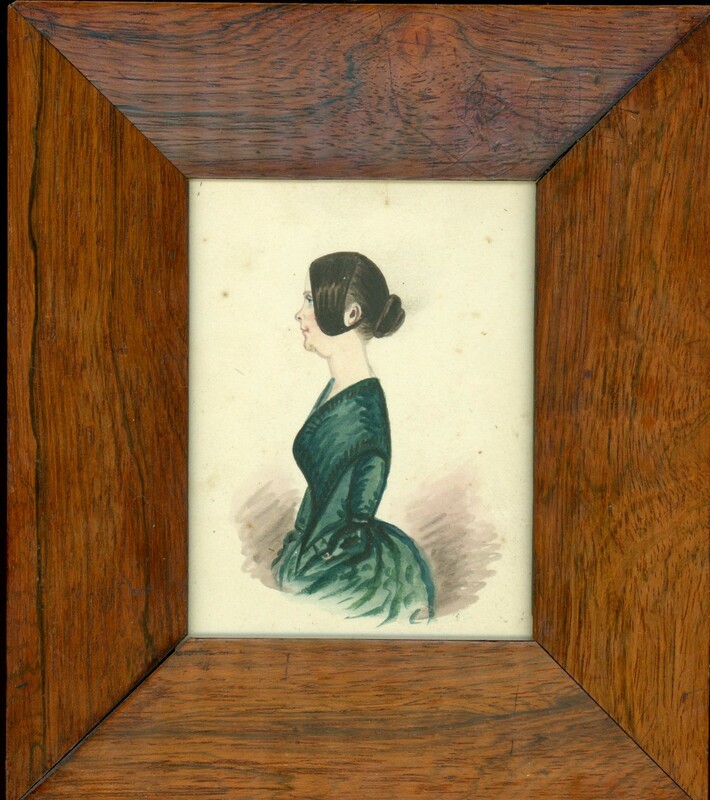 It’s always gratifying to find two or more family portraits that have been kept together as this pair of coloured half-length profiles have. 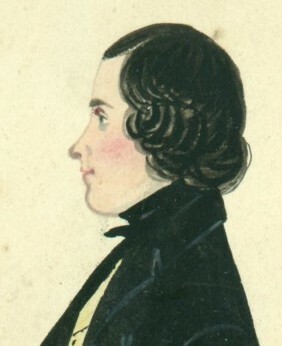 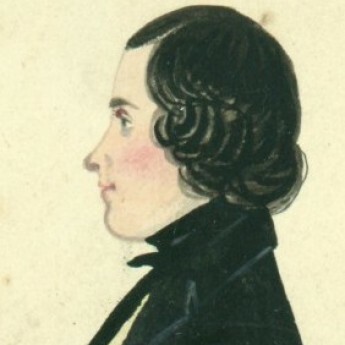 The gentleman, named as Thomas Richardson (1818-1874), is portrayed wearing a black tail-coat over a lemon waistcoat and black knotted stock. 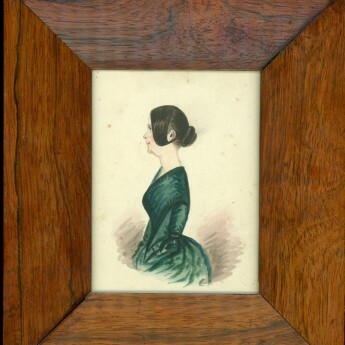 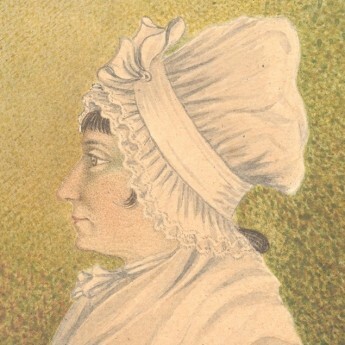 His wife, Elizabeth Ann Richardson (1820-1886), is wearing a vibrant green dress with a draped bodice and pointed waistline. 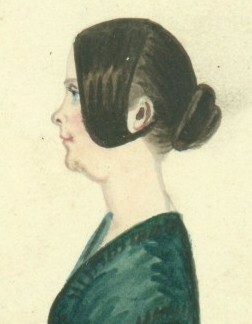 Her dark hair is looped round her ears and drawn back into a twisted knot. 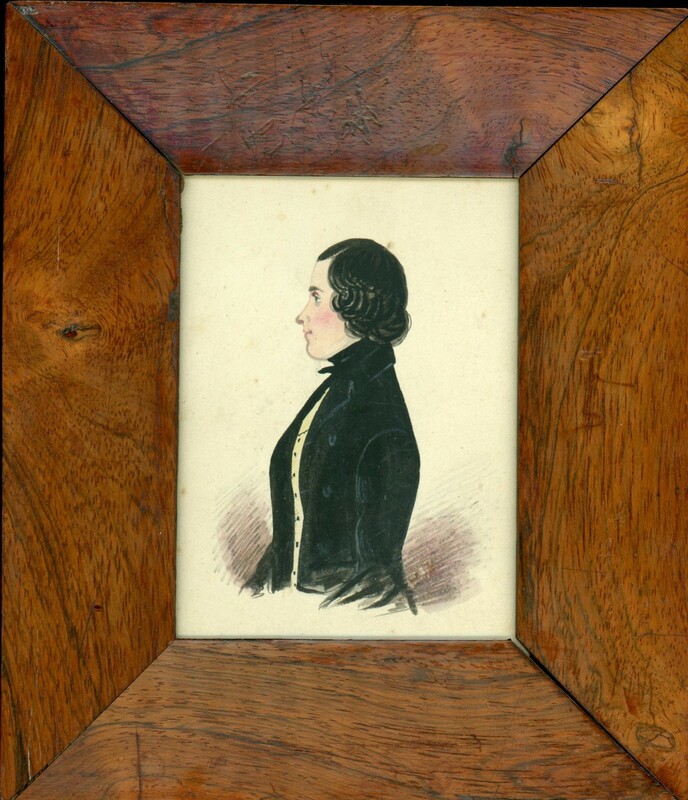 The profiles are watercolour on card and are housed in good quality period rosewood frames. 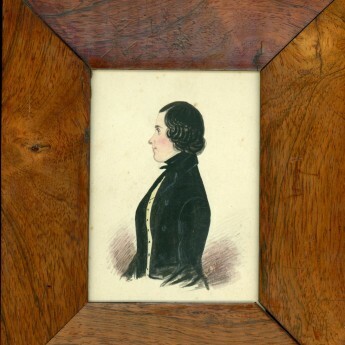 There is minor light spotting to the unpainted areas on both portraits but overall they are in fine condition.